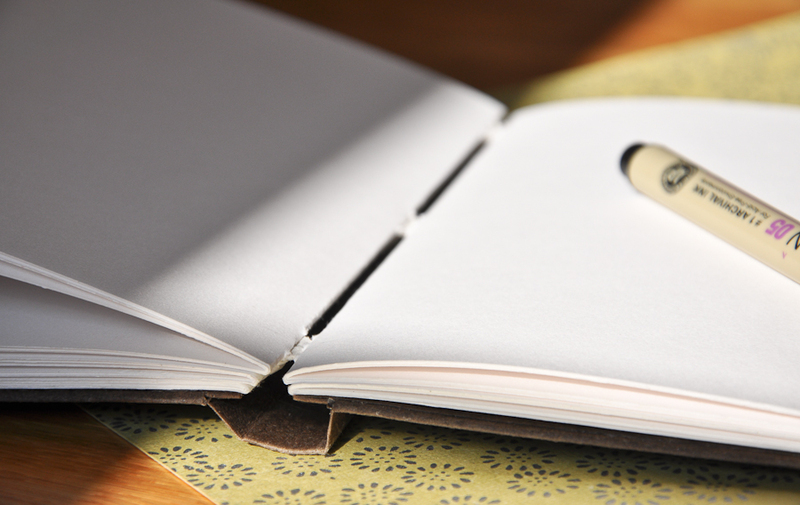 Sewing in the same style on perforated vellum tapes – but this time with no “swell” – yields a flat-back book that lays flat when open and proves to be good and rugged. 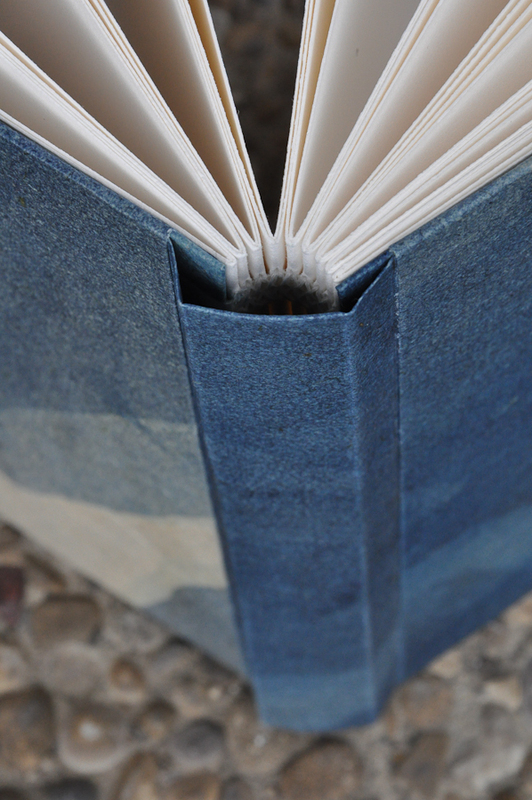 The case here is a variation on Gary Frost style sewn boards binding and is constructed with Cave paper drummed over boards. It has a great feel in the hands and is a nice choice for a carry-everywhere sketchbook or journal.